Barry can design and manufacture any size of webbing nets, used for transportation and cargo carrying applications (under slung or interior helicopter, plane, trucking, ambulance, racing vehicles). Custom webbing assemblies such as tie-down straps can also be manufactured according to your specifications. The webbing material may be mil-spec if required and connecting hardware is available in stainless, galvanized or plated steel, aluminum or plastic. 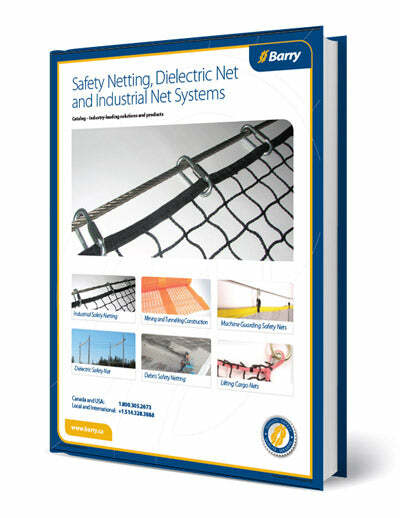 Webbing nets and assemblies may be tested or certified to meet your requirements.